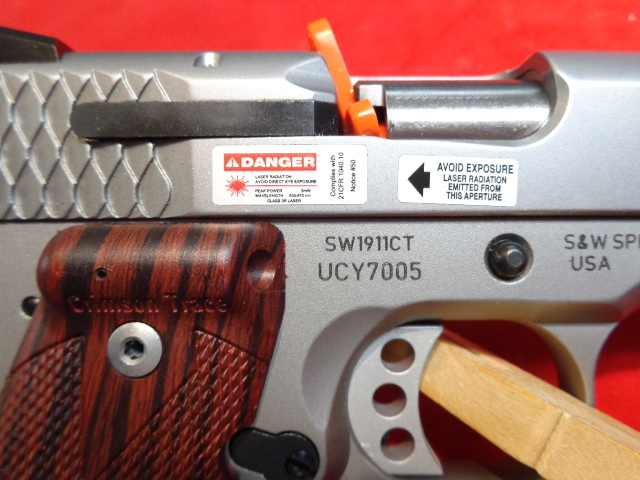 SMITH & WESSON, SW1911CT (108495)”CRIMSON TRACE” LASER GRIP, 5″, STAINLESS-STEEL, .45ACP. Precision. Accuracy. Performance. 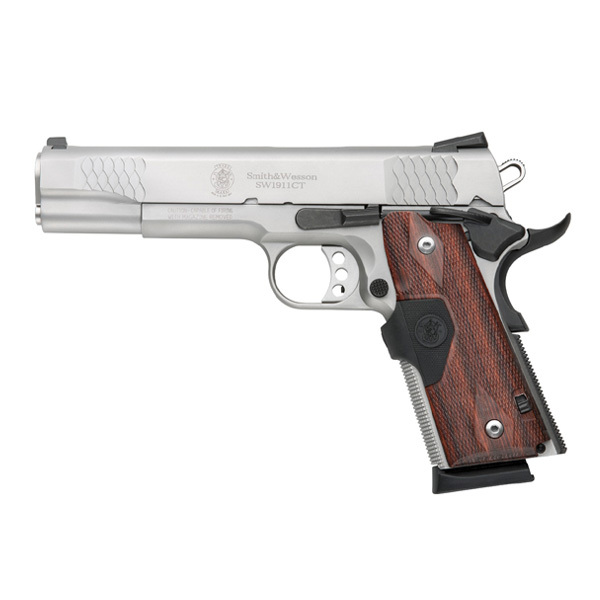 With a remarkable selection of SW1911’s, Smith & Wesson continues its tradition of innovation and its commitment to bringing shooters the finest quality high performance firearms. 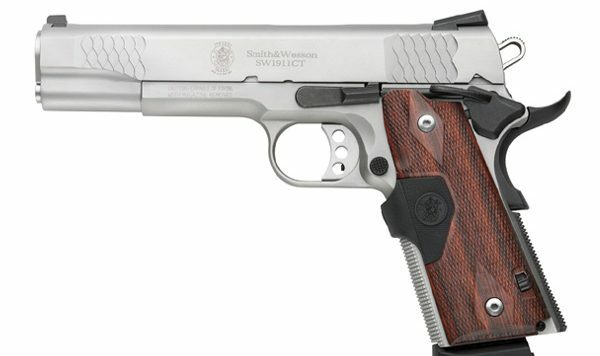 Smith & Wesson’s variations of John Moses Browning’s extremely popular 1911 design can be seen in the production, Pro Series, Champion Series and Performance Center line of SW1911 pistols. 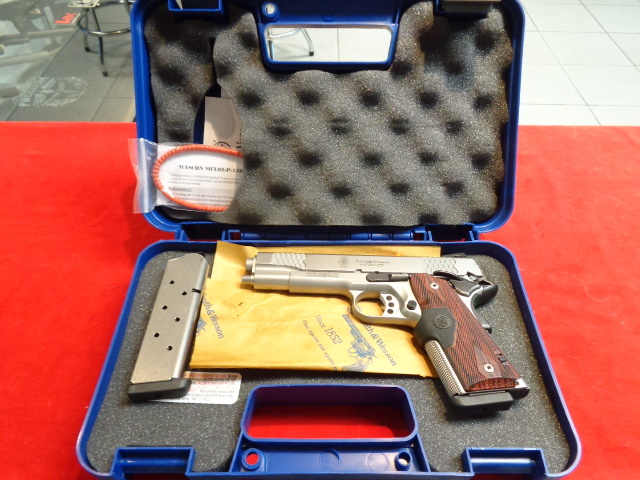 These 1911’s are manufactured with a wide variety of materials, finishes and unique features and are favorites in any collection.